Venco Venturo Industries LLC is a Cincinnati-based manufacturer of high-quality Venturo truck-mounted cranes, Venturo crane service bodies and Venco hoists. With a dedication to rugged designs and reliable products, as well as real industry expertise, Venco Venturo prides itself on a well-crafted, American-made products. Improving infrastructure has shown to grow cities and businesses, a method Venco Venturo always supports. Since 1952 the company has been in operation and has established itself as an industry-leading manufacturer. In 2013 it announced that after nearly a year of negotiations with strategic outside buyers, the sale of Venco and Venturo manufacturing divisions to the management team of Brett Collins, Mike Strittholt and Dave Foster was complete. This agreement keeps control of the brands with the existing management team and preserves 100 percent of the jobs and manufacturing facilities in the Cincinnati location. Serving multiple industries, Venco Venturo has always provided municipalities around the country with a great product and superior customer service. Through product lead times Venco Venturo sets itself apart from the competition: It has the ability to ship quickly and a full understanding of the municipal bid process. Meeting the specifications of a municipality regarding equipment or price is an important priority in Venco Venturo’s relationship with its customers. Through a network of hundreds of distributors, Venco Venturo can decrease shipment lead times and provide municipalities the closer proximity of an upfitter. Offering a wide array of products and services can help enhance a customer relationship and also improve industry knowledge among peers. Venco Venturo offers Venturo Training Services, which offers crane certification courses for crane operators and trainers, on cranes 2,000 pounds and heavier. With the new osha law going into effect in the coming years, certification for cranes has been in demand. Offering this training also offers Venco Venturo customers the opportunity to learn about operating and installing Venturo products, which in turn allows them to enhance the upfitters’ knowledge of its products and installation methods. It also helps municipalities with any product questions. Customer service and technical knowledge is a staple of Venco Venturo’s operations. With decades of experience and live-person interaction, service to the customer is a priority. 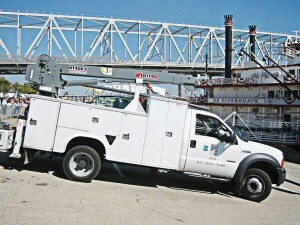 Venco Venturo can meet municipal bid specifications for equipment and pricing. Understanding the process helps place the company in a position to offer multiple options for any size municipality, according to its needs. This will cut out unnecessary expenditures and get the proper use out of equipment, making the user more efficient. 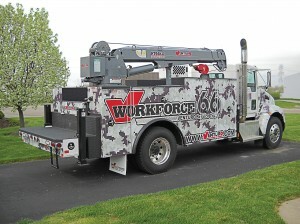 Venturo truck-mounted cranes are rugged, high-quality and built to last. Venturo products are highly regarded in the industry and are an excellent value. A family-owned business since 1952, it supplies a broad range of industries with reliable equipment that’s made to perform year after year even in the most demanding environments. Cranes are offered in full hydraulic, electric-hydraulic and mast configurations. Additionally, it offer an array of complete crane packages, including bodies, air compressors, outriggers, pedestals and more. Venturo crane service bodies are designed and manufactured exclusively for its cranes. 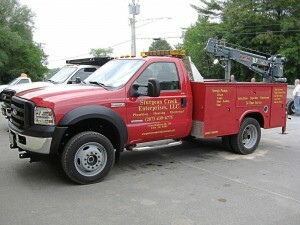 They provide the optimum foundation both for the crane and for work trucks. These crane bodies are extremely rugged and durable, built for extensive use and every type of weather condition. Venturo products are built to last and are guaranteed. Purchasers of any new Venturo product covered by warranty receive six years of the most complete coverage available, at no added cost. Since 1981 Venco has been providing scissors hoists for commercial and industrial uses. Its rugged hoists are highly regarded in the industry and represent an excellent value. 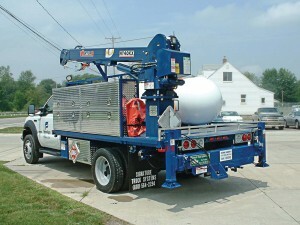 Hoists are offered for pickup trucks and conversion/dump bodies.